Furniture and accessories process: Burning bending, candle stands sanding to explore shapes and forms that work around the cylindrical shape of bamboo. Joineries, drilling and finishing of furnitures. 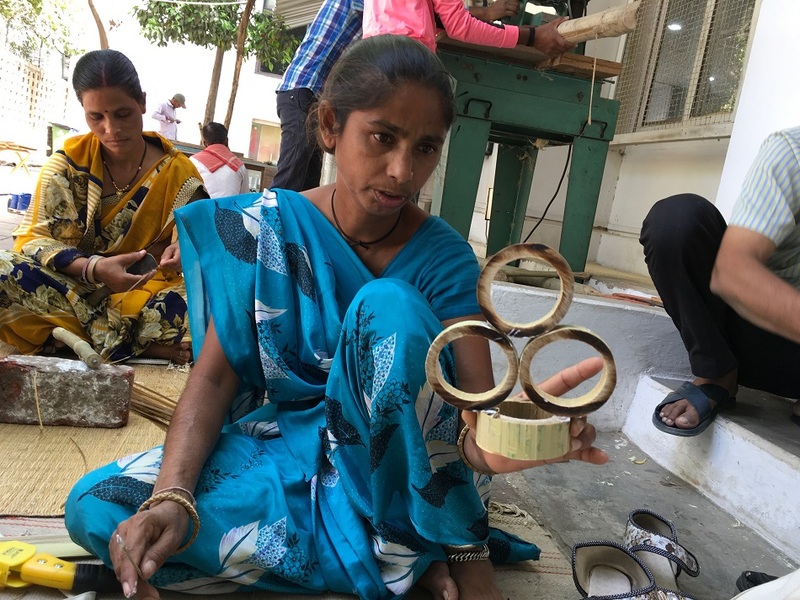 Jewellery and small accessories: As the raw material was being produced simultaneously there was weaving of baskets, adding structure to weaving, resulting to baskets. In weaving, making of the raw material takes more time and effort as opposed to the actual weave structures. Therefore a lot of time, dedication and team work was spent on making the strips while weaving techniques were demonstrated. Small bamboo installations with props were also explored.